When powerful film executive Monroe Stahr (Matt Bomer) walks across a studio lot in 1930s Hollywood, he’s the envy of men and women alike. Under his polished surface, however, Stahr is not who he seems, and keeping his secrets safe will prove one of many challenges in The Last Tycoon, Amazon’s new drama based on F. Scott Fitzgerald’s unfinished novel of the same name. Old Hollywood has a glitter and glam to it, but the new Amazon series shows us the dark side, too. Also affecting Monroe is the recent loss of his love, actress Minna Davis (Jessica De Gouw). 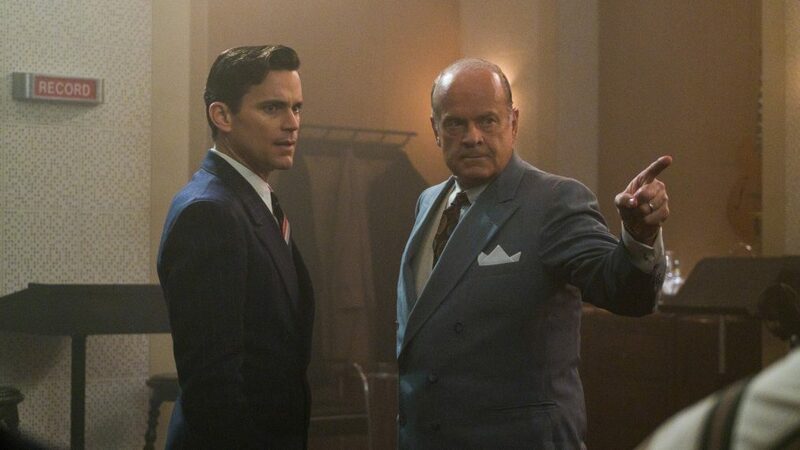 “He hasn’t really given up that ghost,” Bomer says. “He’s searching for something to fill the hole in his life.” Seems he won’t be alone for long, though. Pat’s ambitious daughter, Celia (Lily Collins), has her sights set squarely on helping Monroe heal his grieving heart.